Fallene’s proprietary ‘Age Defying Fusion” integrates Reflective Physical Particles and Purified Minerals with unprecedented Aesthetic Elegance to create sunscreens that are uncommonly gentle, highly protective and a pleasure to wear. TiZO is formulated with epidermal emollient conditioners to make skin feel soft &supple Void of Oils, Fragrances. 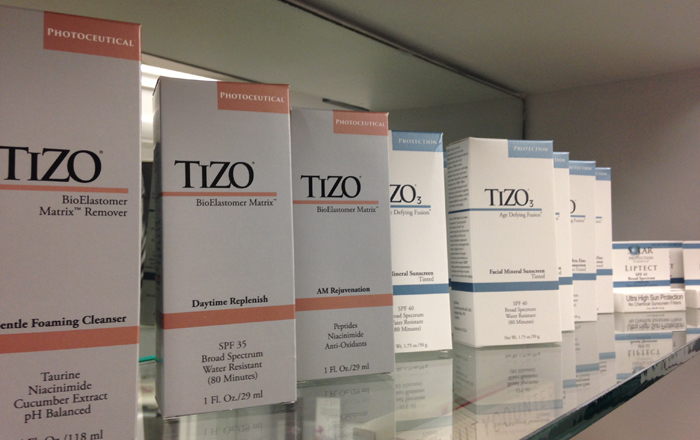 TiZO’s multiple Titanium Dioxide &Zinc Oxide particle sizes are coated and structured to create a uniform layer of coverage that prevent UVA-UVB rays from reaching the skin, which inhibits pre-mature skin aging and the formation of free-radicals TiZO uses the #1 rated sunscreen ingredients, as designated the the United States E.P.A..